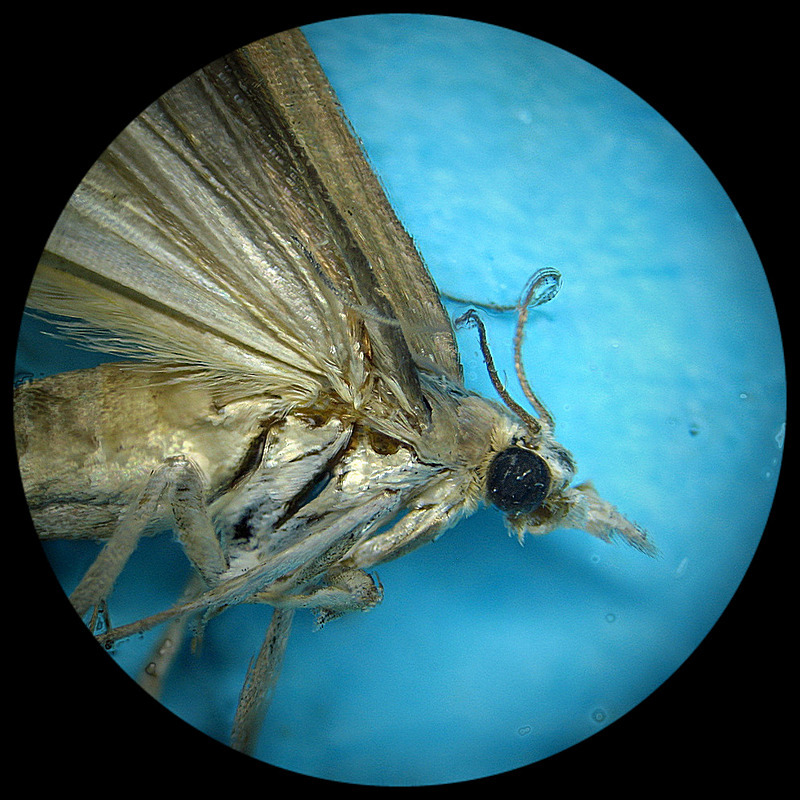 Here's something different, a tiny moth taken through one eyepiece of my stereo microscope. It's an experiment in image stacking, where several images are taken at different focus points and combined with special software to give greater depth of field. When I was a kid I had a toy microscope and always wanted a real one. Now, thanks to Ebay, I have a couple. Actually, I love the shades of it's color, like silvery champagne. Such exquisite detail in such a tiny creature. Do you have a small souvenir that you won't get rid of?